At Dr. Taylor’s Family Dental Center, we always use the most up to date techniques. Our equipment and facilities are well known to dental professionals throughout the mid-west and represent state-of-art dentistry. This allows us to provide your dental care in the gentlest way possible. 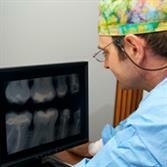 Do you want the quality of failsafe Dental CAT Scan X-ray for your next dental implant procedure? Our dental office in Waterford has our very own Dental CAT Scan X-ray especially used with implants to ensure the safest possible placement of implants. Sometimes it’s difficult to understand why certain dental treatments are needed. With the use of special cameras, patients can see inside their mouths to better understand what conditions exist. This way, a patient can make a better decision as to their needed treatment. To help you better understand your dental problem and how treatment is performed, we have a complete video library on over 200 different procedures. These programs are also available in Spanish. We have found that by using these video presentations, our patients are more relaxed with the procedures because they understand better how simple and gentle most of the procedures can be done. Because we are always concerned about your health, we strive to use materials that are highly biocompatible and fit extremely well. In most cases, we are now using computer milled crowns without any metal. These type of crowns, known as E-max CAD crowns, represent the most current technology available today and are on the cutting-edge of dental technology. It has been shown that a new beautiful smile can contribute greatly to one’s confidence and self-esteem. 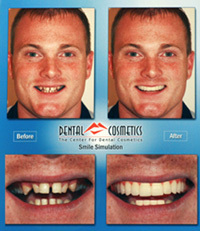 No wonder many of our patients here at Dr. Taylor’s Family Dental Center are having “Smile Enhancements”. Virtually everyone who has improved their smile has realized significant benefits. When you don’t smile because you are embarrassed by the appearance of your teeth, you are compromising the quality of your life. With the aid of sophisticated computer software, we can create a computer simulation of how you will look with your new smile before you start. And this can all be done at no charge. For more information about the dental technology our Waterford dentists use, please don’t hesitate to call our office at (248) 681-8100.